I’ve been redoing a lot of photos lately. 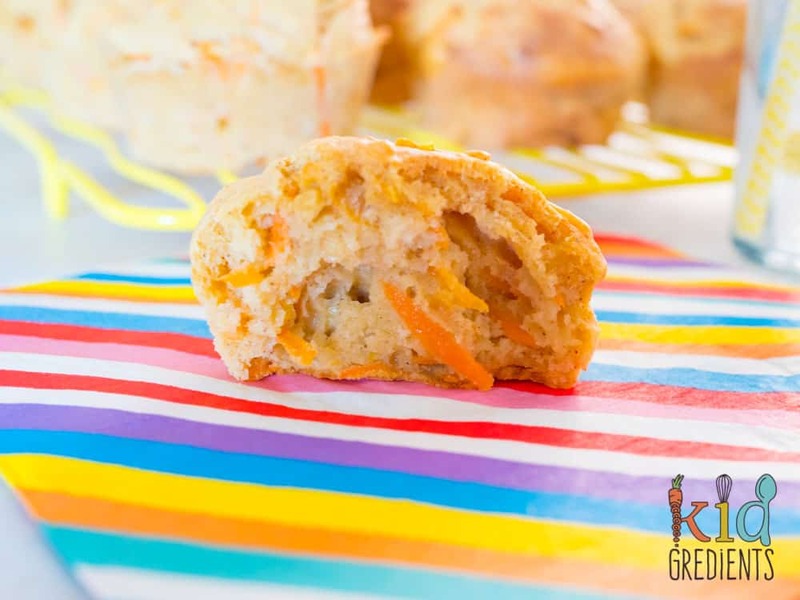 These carrot and spice muffins are the latest to undergo a transformation. 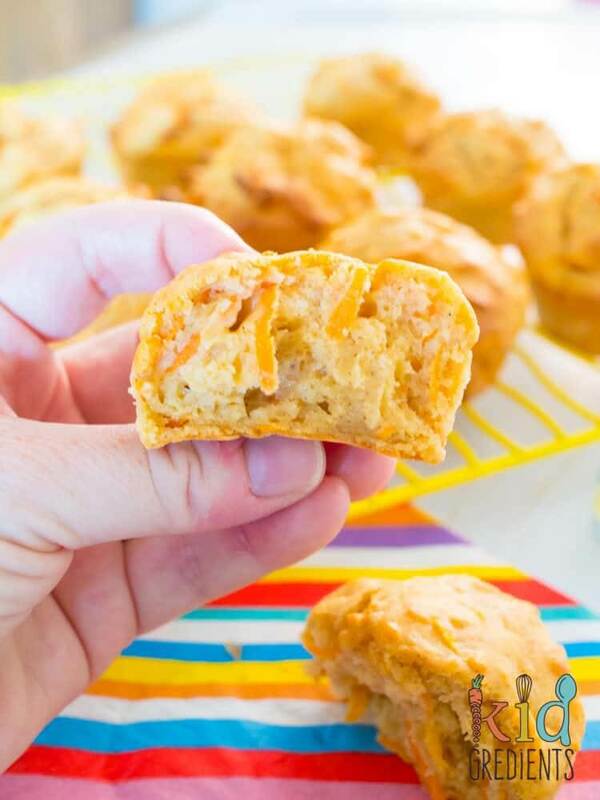 They are delicious muffins, but the photos…not so! And we all know we eat with our eyes first. Here is the old photo: tempting, right? I’ve learnt so much in the last 4 years…and a lot of it relates to photography. It’s school holidays. How does that effect at stay at home mum with two kids in preschool? 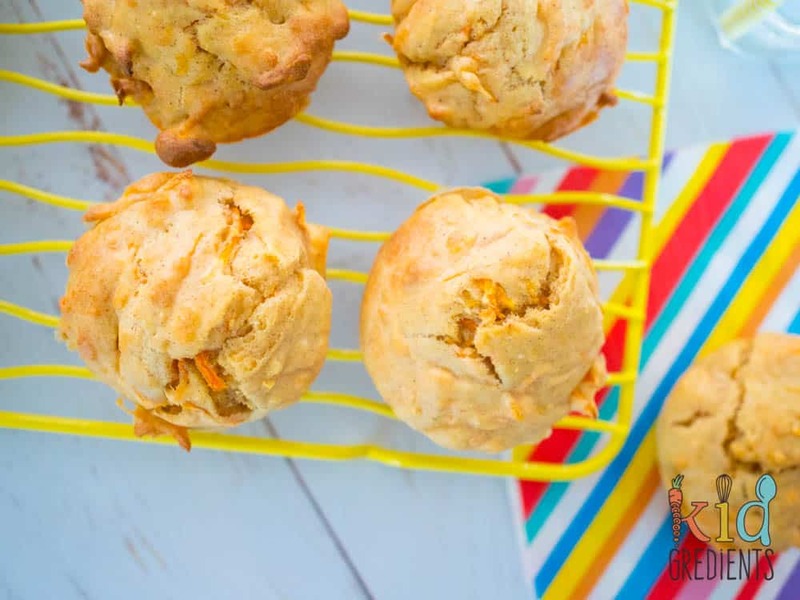 Not greatly, but it does mean that there aren’t our usual activities on like swimming or dancing which means that Miss 4 and I have more time together for things like cooking…and these carrot and spice muffins are high on our list of priorities. They are delicious fresh and freeze really well. 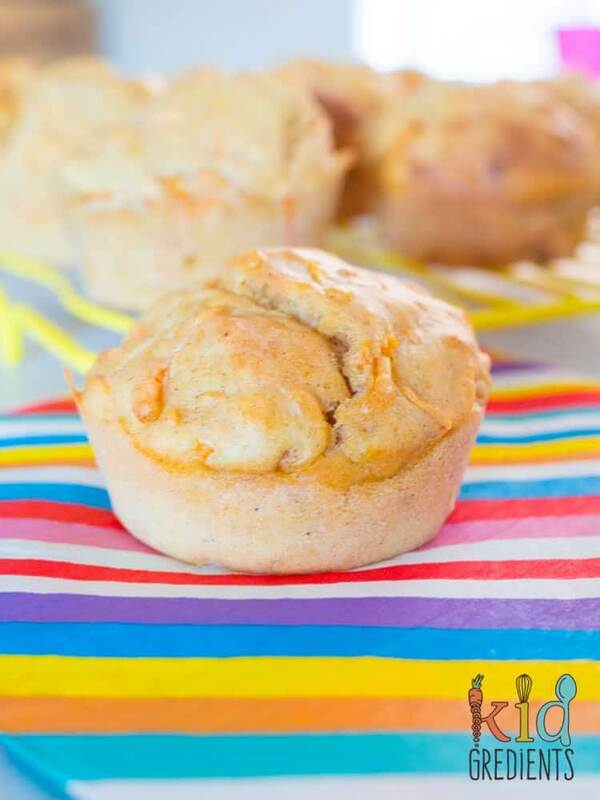 They would be awesome with a little cream cheese frosting like on the apple carrot and coconut cake. Miss 4 and I made these together a few weeks back and she loved them. All the measuring was fairly easy for her to do and we both sat on the floor in front of the oven watching them rise and smelling the spices. The spices add a really yummy wintery feel to them and remind me of the smells in European Christmas markets. The one thing I beg you, do the grating yourself- don’t let the kiddies! I nearly lost my knuckles on this lot of grating and in hindsight two cups of carrot is a lot to do by hand. If you have a food processor it is warranted here! It’s going to sounds really silly but you can even see the food processor in the photo to the right…but it just didn’t cross my mind! 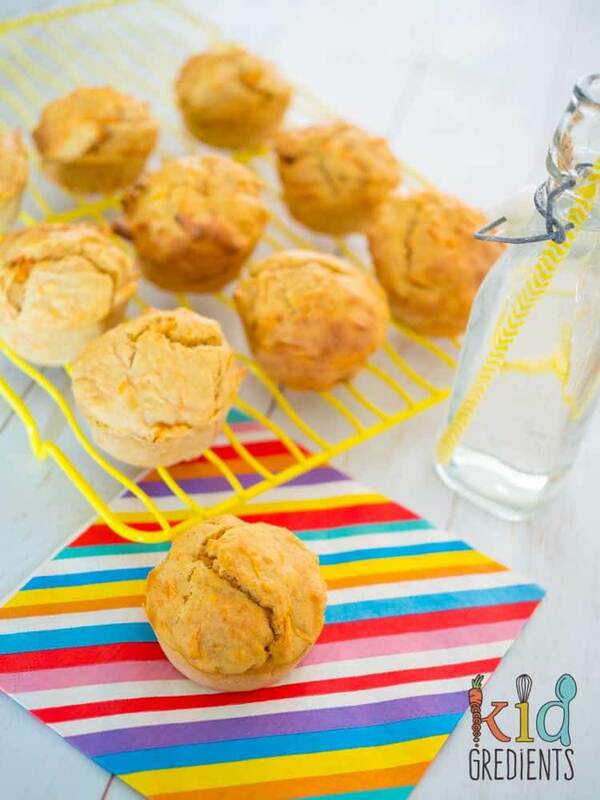 These muffins served us well for lunches, straight from the freezer left to defrost in the lunchbox and would be ideal for exploring in the school holidays. Miss 4 only eats half of one of these muffins at a time, not due to taste but because they are quite large. I would normally do them in a mini muffin tray. 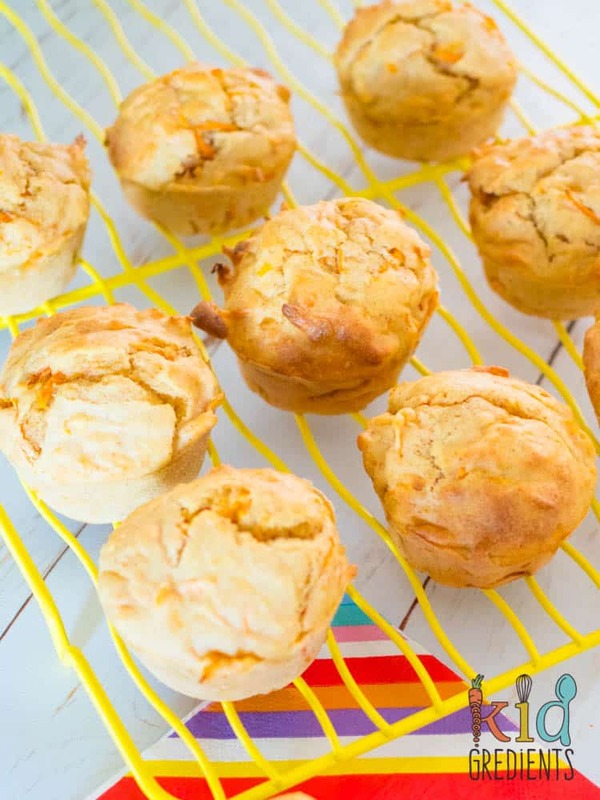 You could probably make 30 mini muffins! 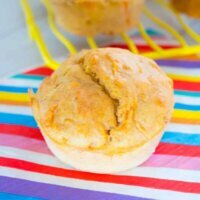 Want some more muffin ideas? These chocolate zucchini ones are a favourite! 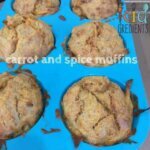 Yummy carrot and spice muffins- awesome for the lunchbox and great for freezing! 1/4 cup panela sugar, or leave it out! Add in the carrot, mix well. Then add the wet ingredients and stir to combine. Fill 12 cupcake holes (either greased/lined/or silicone trays).